The worlds of The Walking Dead and Fear the Walking Dead are about to collide in big ways. 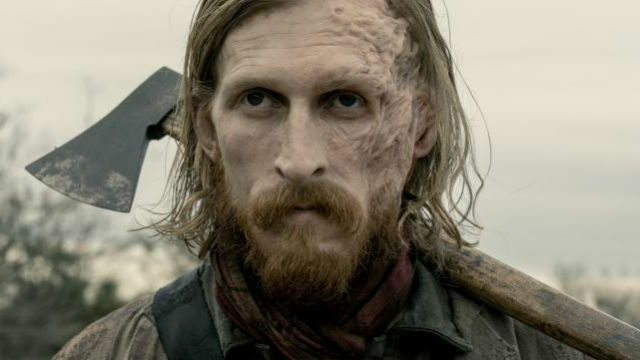 Austin Amelio is joining the cast of the latter show to pick up where Dwight’s story left off on the flagship series. However, this might not be the only crossover in the spinoff’s upcoming fifth season. At last weekend’s WonderCon, chief content officer Scott Gimple was asked if both shows’ casts might face a common adversary at any point in the future. His response (via ComicBook.com) suggested that something more complex is in the works. All jesting aside, the “story strand” that he mentioned could refer to a number of possibilities. If it’s not an enemy, it might have something to with the mysterious group of survivors that Anne/Jadis was working for. This could act as a launching pad for the upcoming movies that will feature the return of Andrew Lincoln as Rick Grimes. Additionally, it might serve as an opportunity to re-introduce Georgie into the mix. That character hasn’t appeared since The Walking Dead’s eighth season. During the time jump after Rick’s disappearance, Georgie recruited Maggie to join her band of survivors. What storylines from The Walking Dead would you like to see continued on Fear the Walking Dead? Tell us what you think in the comment section below!